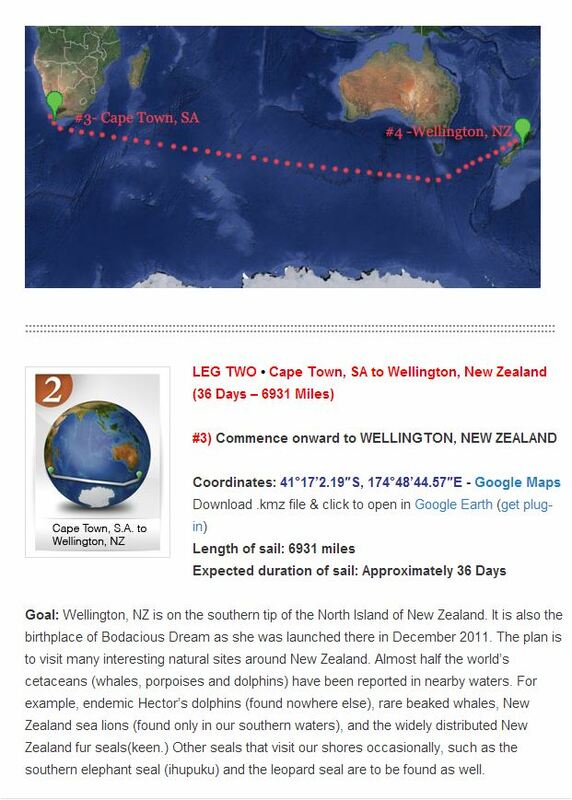 a while back, David has been busy completing the 2nd leg of his solo around the world circumnavigation, having just arrived in Wellington New Zealand this morning. 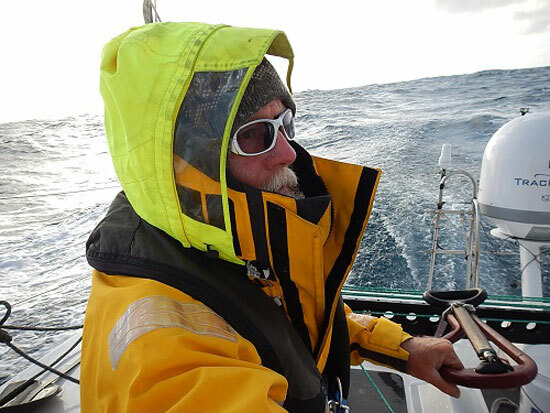 A bit of overview on David's "Bodacious Dream"
Since I was a teenager on the shores of Lake Michigan, my undying passion and ever-present dream has been to race a boat around the world sailed only by myself. There’s a simplicity to such a dream, a simplicity that involves putting myself, my boat and my skills to a test that only I can pass or fail. Mix those simple variables with the infinitely more complex ones of the ocean, the weather and the wind – none of which offer any possible certainty, and suddenly you have the makings of a very one-of-a-kind story that then unfolds against the backdrop of the entire planet and over all her vast oceans. How can such an experience not offer up an inexhaustible number of unique opportunities that simply beg to be shared … and which now CAN be shared via the Internet in ways not previously possible? So, my dream has evolved into a two-part dream … to not only make the long-dreamed of journey for myself, but to also share it – as it happens – with curious minds around the world, minds of all ages. With a boat and plans in place, my dream stalled waiting for the “Global Ocean Race” to materialize. 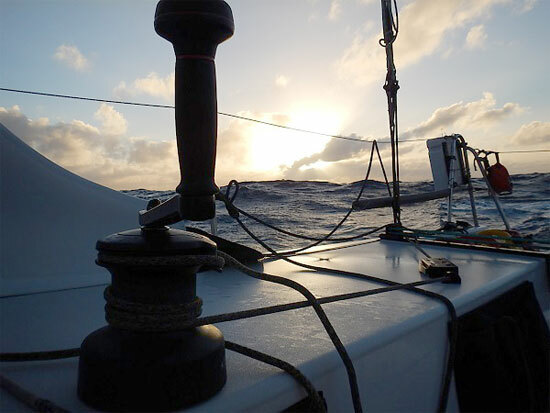 As the organizers moved the race from 2013 to 2014 (or possibly later,) the decision was made to press forward on our own … and to sail the same course as the Global Ocean Race, BUT to do it in our own way, and in our own time, and so allow ourselves the chance to explore more deeply the wonders of the marine world along that same course, and also to do our best to capture the experience in story, photos and video, turning each day into a learning opportunity for kids and adults who might not otherwise have access to these distant and remote corners of the world, and to the many lessons hidden there. 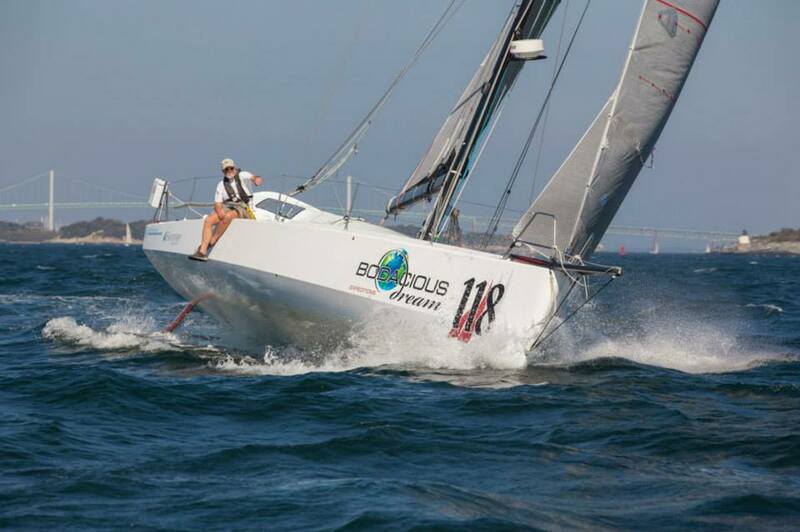 Bodacious Dream, our boat, is a 40-foot long, Class 40 sail racing boat. She was designed to sail and race long distances by a single individual and was constructed to withstand the forces of nature that rise in the wilder regions of the world’s oceans. For this voyage, Bodacious Dream will be my home, my transport, my mobile learning lab and my media communications studio. As I sail the remote ocean course and meet each day’s challenges, I will be sharing those events and discoveries with you. Our adventure began on October 2, 2013 in Newport, Rhode Island. We headed south towards the equator (and after a stay in Bermuda, to make repairs) we crossed the equator and headed eastward towards South Africa, following the traditional race routes of the major solo circumnavigating races of the world, such as the original BOC and Around Alone races, now both renamed the Velux 5 Oceans Race, the Global Ocean Race and the Vendée Globe. From Newport to Newport, the course runs approximately 30,000 miles in a complete circumnavigation and will likely take approximately 9 months. Unconfined by the competitive race format, we’ll have more time to explore and experience some of the more interesting and remote regions in the world, mostly inaccessible without a boat, and there capture interesting data and record events to upload to the Internet and to make available to everyone … including teachers, scientists and organizations such as our partners at Earthwatch Institute.